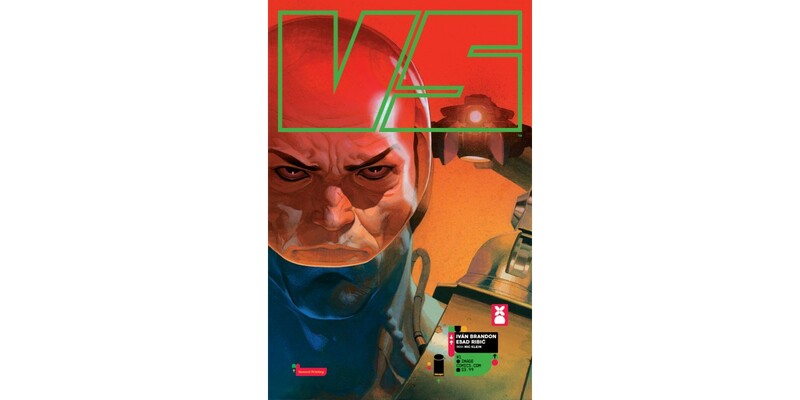 The no-holds-barred sci-fi satire of VS, the new series from Iván Brandon and Esad Ribić, offers a canny vision of the future of warfare, and fans can’t get enough. As a result, VS #1 is being fast-tracked for a second printing in order to keep up with overwhelming customer demand. When war is the ultimate spectator sport, the limelight is not only fleeting, but also a very dangerous place to be. VS delivers spectacular action and darkly humorous satire as it explores humanity’s desire for fame—and penchant for self-destruction. VS #1 will remain available for purchase across all digital platforms, including the Image Comics website (imagecomics.com), the official Image Comics iOS app, Comixology’s website (comixology.com), iOS, Android, and Google Play. VS #1, 2nd printing (Diamond code: DEC178859) will hit comic book shops Wednesday, March 7th. The final order cutoff deadline for comics retailers is Monday, February 12th.